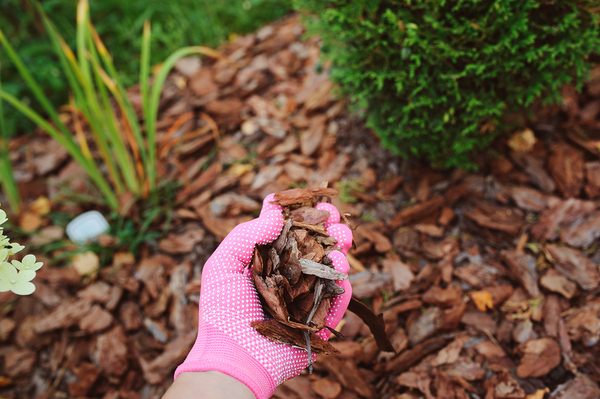 Mulch is a key tool to help prevent water loss from your garden. What tools do you need to manage water in your garden? While you might imagine a toolshed full of useful implements to assist you in your quest to save water, many of these water-saving tools are more unusual. However, they can help you in your efforts to manage overflowing water in your garden and to maintain a garden that’s overly dry as well. If your gutters are overflowing, it’s time to take a hard look at your drainage system. Adding a larger gutter could be the answer, but so could adding a gutter cover to prevent your existing gutters from getting clogged during the wet parts of the year. Make sure that your downspouts are adequate and aimed away from areas where you are going to walk if they’re pointing into your garden. 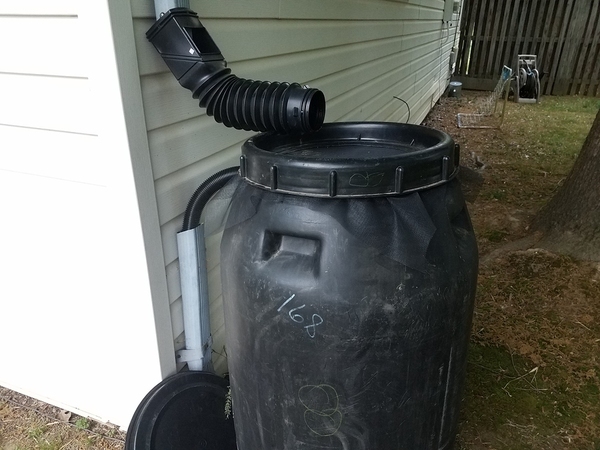 Add a rain barrel to your downspouts as well so that you can save water when it is abundant. Add wetland plants to manage wet places in your garden, so that you can soak up that overflowing water. A rain barrel can be an asset in the dry months of the year, providing extra water for your garden. The impermeable surface is a problem when it comes to water flow in your garden. In nature, water would trickle down into the soil, where it would be stored until the plants needed it during a dry period. On concrete or asphalt, water just runs off and forms puddles. When you can, use gravel, and other permeable surfaces to allow your soil to store water while reducing puddles at the same time. Mulch and compost are tools for increasing your soil complexity. This in turn allows your soil to store more water. Mulch, such as shredded bark, also helps water stay in the soil. If you water on straight soil, that water could evaporate off during a sunny day. When the water trickles in under the mulch, that layer protects it from evaporation. At Harry Helmet, we’re dedicated to your home and garden. Make your home life simpler: install gutter covers, a seamless gutter, or a shade awning today. Schedule a free estimate, and we’ll show you how you can reduce your home maintenance.